There have been better times for the ski industry. In its heyday, lift tickets were cheap, mountain towns were affordable and the snow came down like fossil fuels weren’t getting ready to turn the planet into the Sahara Desert. There is a reason that skiers love dressing up in neon colors and onesies like it’s still the eighties and nineties, that era is fondly remembered as the new birth of the sport. While skis and equipment are continuing to improve, the industry behind them has been scrambling to keep profits up, pushing lift tickets to insane prices and building exorbitant mountain villages with hundreds of multi-million dollar villas. This has only succeeded in alienating the die-hards of the sport, who prioritize skiing over working fifty hours a week, which then keeps them from being able to afford to live comfortably on or next to the best resorts in the country. As an Aspen skier, it is a topic that hits hardest at home, where a season pass has climbed to almost two thousand dollars for the season. Let me repeat that: two. thousand. dollars. Just one lift ticket in the renowned ski town breaks a hundred and fifty, making it expensive to the point where visitors not flying their own private jets in can rarely afford even one day of skiing. It would be one thing if this was an isolated issue, and Aspen was the only resort pandering to the one percenters of the world, but the effect is unfortunately much more widespread. Jackson Hole, Wyoming is another poster child for devastating cost, where, due to its isolated location, their employees have been having serious issues finding a place to live. The exorbitant cost of housing in ski towns from Jackson Hole to Aspen to Vail to Lake Tahoe have been pushing out their own employees, whose wages (of close to ten dollars an hour usually) make the towns unlivable without a van to park on the side of the road or dorm-style employee housing. These options work for some, but adults shouldn’t have to choose between following their passion and living in a modestly sized home without piles of roommates. Another limiting factor in the last few years has been the weather. The last few seasons have been especially erratic, with big snowfalls intermingling with long droughts, to the point where some resorts weren’t even able to open in the past few years. Luckily for us the Rocky Mountains have been able to retain much of their annual snowfall; however other parts of the country have had serious issues with reliable winters. The northeast had an amazing season in 2014, followed by a devastatingly bleak one the following winter. In the past few years alone, mountains in California, the Pacific Northwest and the icy Northeast have had to close midseason due to a complete lack of snowfall. This not only affects casual skiers, but can be especially hard on those who committed their winter to working at the resort, only to be out of a job in January when the snow never comes. Different areas of the country are affected in different ways by these trends, and it’s extremely hard to predict due to erratic weather patterns caused by climate change. This shift towards more expensive resorts with less reliable snowpacks from season to season has been changing the way skiers approach the sport. Backcountry skiing has always been an important part of the community, and some would say the most die-hard due to their high level of fitness and riskier adventures. There are numerous advantages to skiing outside of resorts. Climbing the mountains without lifts requires skiers to be in much better shape, and results in endless amounts of fresh powder turns (the holy grail) for those who can hack it. The amount of money required to start backcountry is a bit more than normal, as all terrain set ups, avalanche beacon/probes and camping gear can get expensive, however over the course of several seasons the savings from not buying season passes outweighs the initial investment. Perhaps the strongest argument for backcountry skiing, though, is the freedom. Without a particular season pass that holds you to one mountain, backcountry skiers are able to go where the snow falls and explore more areas that would otherwise be unavailable. Instead of seeing other resorts get fresh snow while your local lifts are moving over grass patches, a backcountry skier can go where the snow falls, which as the years go by will be increasingly hard to predict in advance. I, for one, am not a backcountry skier. I love my lifts, especially finding ones that aren’t filled with forty minute lift lines, and enjoy being able to grab a draught beer and some real food in between runs. 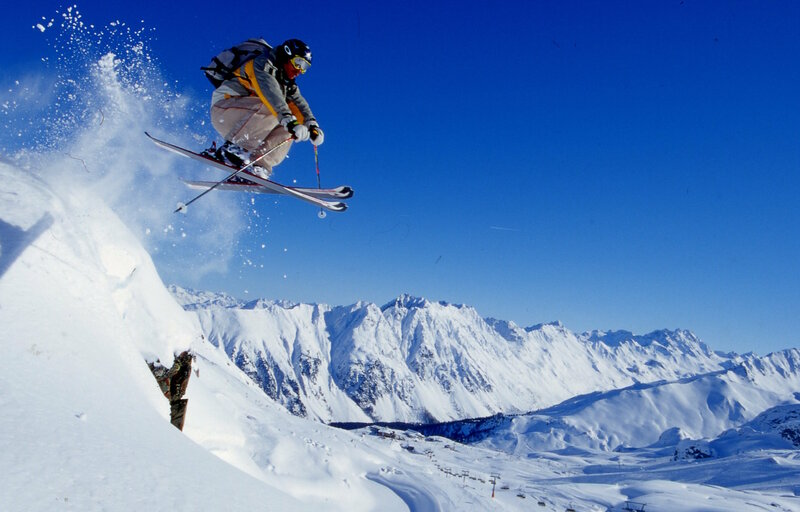 Resorts allow the sport to proliferate to thousands of people across the country and world who without rentals and lifts would have no chance to experience such an amazing sport. Skiing will survive, with or without resorts, with or without certain regions that may dry up in the coming decades, but it will survive. What those of us who love the mountains unconditionally have to do is support the smaller ones. Those resorts like our local Sunlight Mountain, who offer cheap lift tickets, short lift lines and great skiing need our patronage before they are run out of business by corporate giants like Vail or Aspen. As great as backcountry skiing is, it is the cheap local resorts that keep our industry alive, allowing average Joes from everywhere an experience unlike any other on earth that we are happy to share. Please come, enjoy the views, the exhilaration and the culture that helps keep a magical sport alive. PS when I say ‘Ski’ or ‘Skiing’ I am also talking about Snowboarding. I’m in Aspen not Alta.